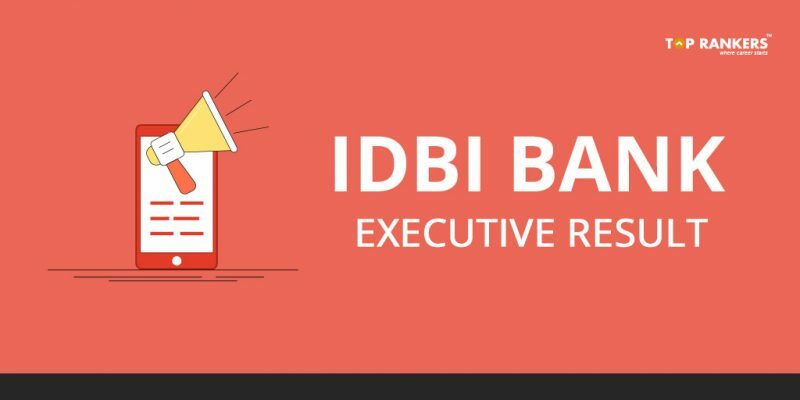 IDBI Bank Executive Result - Check your result here! How to View/Download IDBI Bank Executive Result? IDBI Bank Executive Result Declared – Check your result here. The recruitment notification for IDBI Bank was released on 6th February 2018. The last date to apply is 28th February 2018. You will be recruited for a contract period of one year if you get selected. On the basis of your performance, the contract period may be extended for two more years. A total number of 760 vacancies will be filled through the exam. You can check the IDBI Bank Executive Result on their official website after the Online Written exam is over. The exam is scheduled to be held on 28th April 2018. Scroll down to see more. After that, find the IDBI Bank Executive Result link. Alternatively, click on the direct link given in our post. Then, enter your application no./roll number and password/date of birth to login. There is only one phase of the exam. You have to take an Online exam. If you clear it, you will be called for Documents Verification. There is a negative marking of 0.25 marks for every wrong attempt. So, tell us, did you find our post on IDBI Bank Executive Result helpful? Then, keep visiting us regularly for more result updates.